Water has been proven safe. Review some of the questions and/or problems most frequently addressed by our Customer Service department. Register to autopay your city utility bills. Find comprehensive information on the policies and regulations regarding Water Division appurtenances. The Water Division regularly publishes documents about our operations for the public. 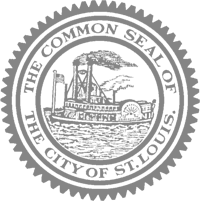 These include Consumer Confidence reports that summarize information about the water system and compliance with drinking water rules, public financial statements, and jobs with the City of St. Louis. Here you can read Consumer Confidence reports that summarize information about the water system and compliance with drinking water rules, and learn about the water treatment process. Here you will find contact information for the Water Division that you can use to report any problems with your water service, or if you would like to report an open fire hydrant or running water in the street.